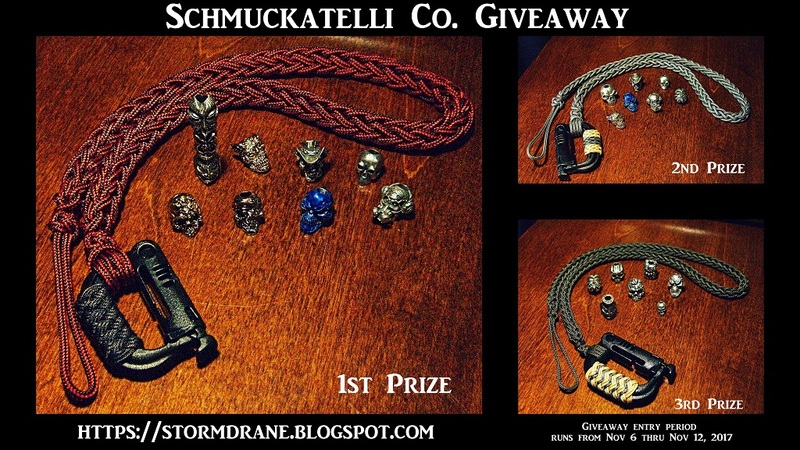 Stormdrane's Blog: Schmuckatelli Co. Giveaway Drawing! Alrighty then, I printed out all the entries in the comments of the blog post for the Schmuckatelli Co. Giveaway, then trimmed them all into strips, and placed them in a bucket for the drawing. I did make a short video, but the actual drawing segment involves a failure to focus, and/or operator error, so you'll have to take my word for it that the winners are actually the same as shown on the strips drawn from the bucket. If a winner fails to contact me within a week, I'll be keeping all the other entries in the bucket at the ready to draw another winner for that prize. 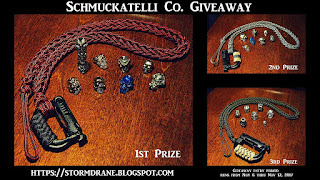 Thanks again to the Schmuckatelli Co. for providing the cool beads for the giveaway. You can also follow them on Facebook to keep up with what's new and current sales and offers, as well as photos shared of what projects some folks use the skull beads for, like paracord bracelets and lanyards. And, 'Thank You! ', to everyone that took the time to read the blog and enter the giveaway! Much appreciated! The 3rd prize winner from the giveaway drawing has not replied/responded in the allotted week since the winners were posted, so I've drawn an alternate winner for that prize. The newly drawn winner will have a week to reply/respond to me at the posted email in the new blog post to confirm their info, or we'll continue to draw a new winner from the remaining entrants until we get a winner that responds.